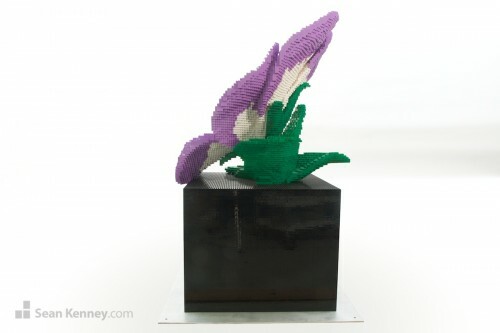 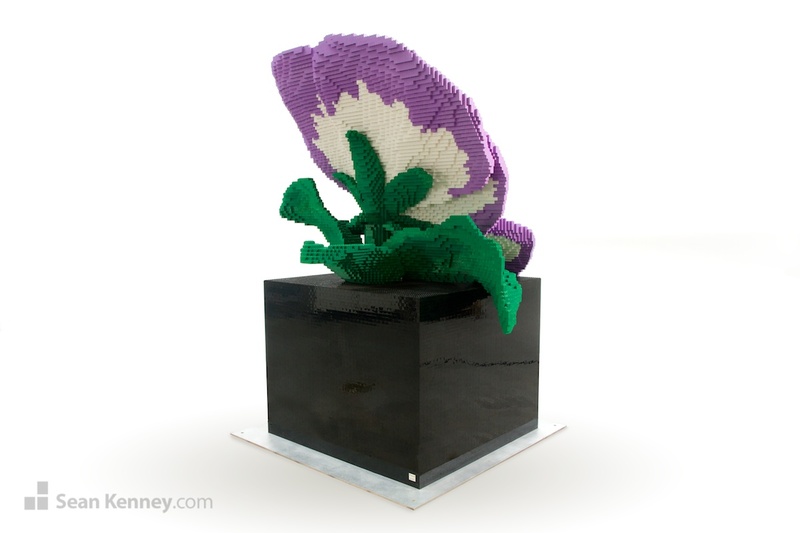 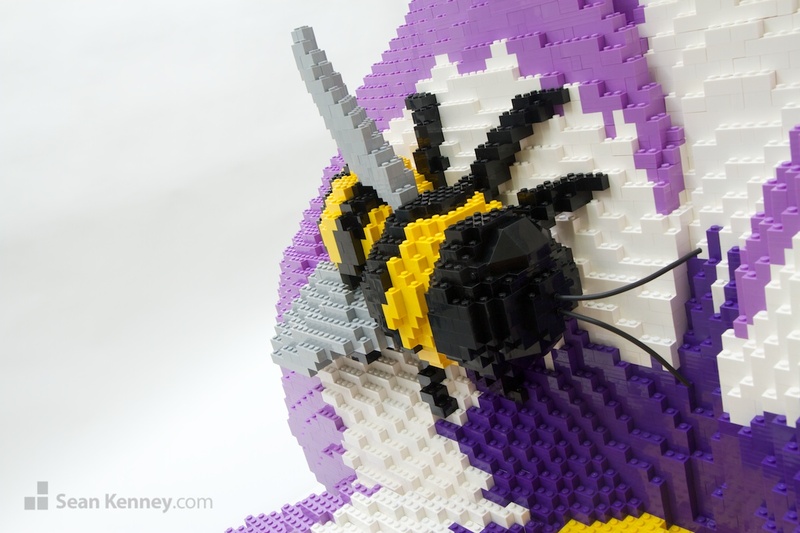 This is the first time I’ve ever used purple LEGO pieces in one of my sculptures! 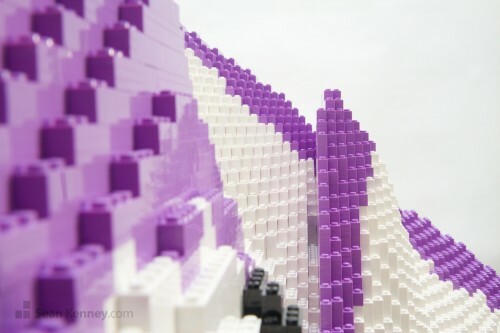 They’re very hard to come by and are not available in many sizes and shapes. Combining lots of tiny pieces into larger chunks made much of the modelbuilding very laborious but overall worth it in the end. 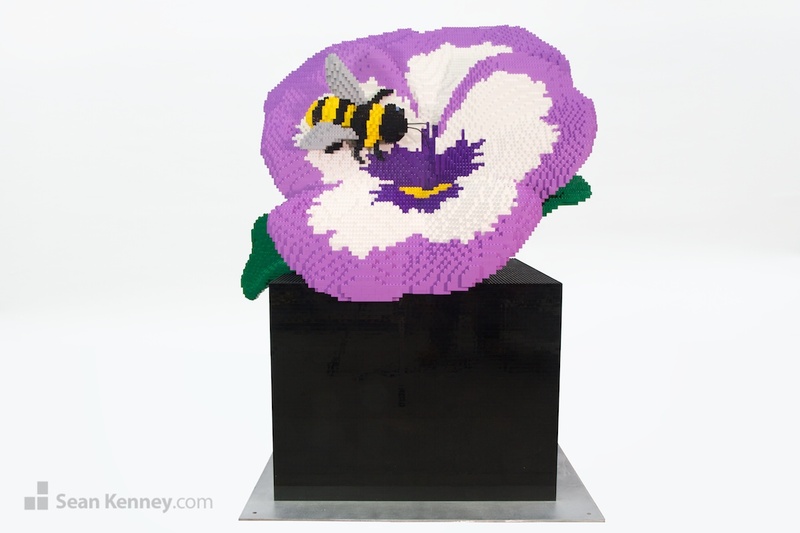 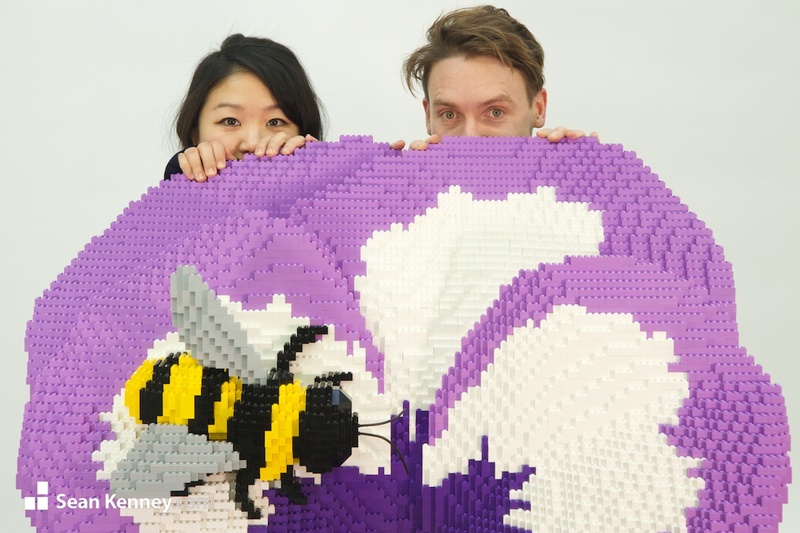 The sculpture contains 29,314 LEGO pieces and took 240 hours to design and build by my assistant Jung Ah; together with the pedestal it measures nearly 5 feet tall. 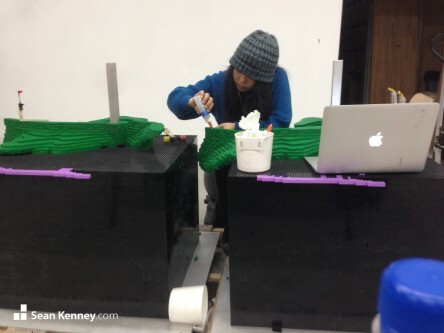 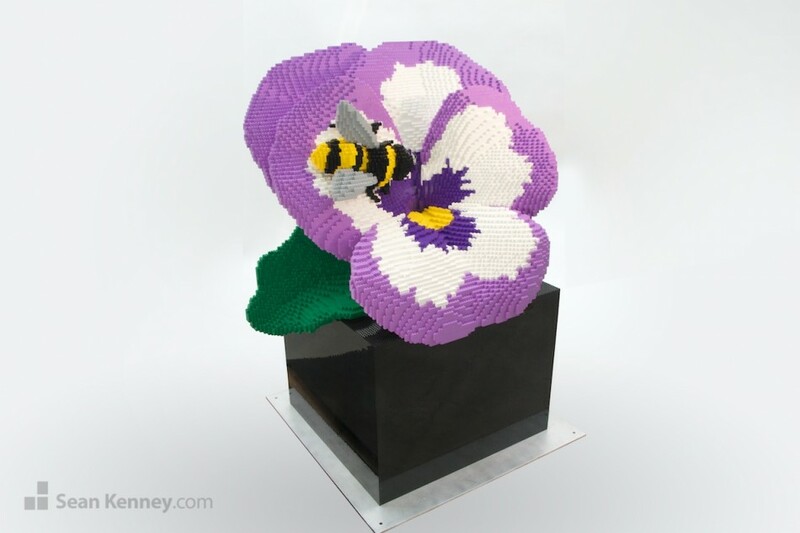 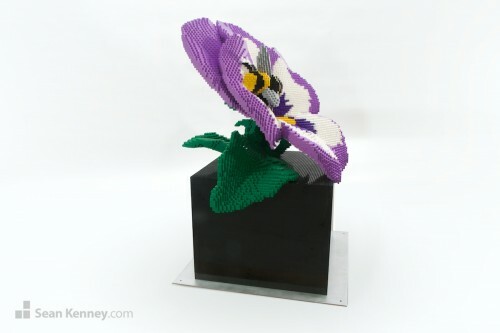 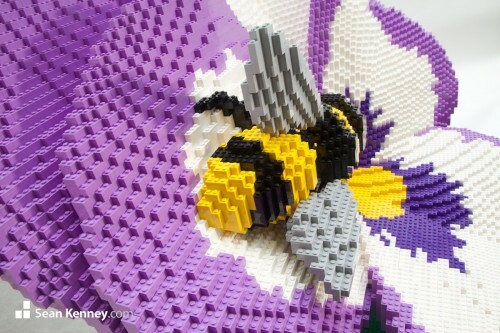 The sculpture is built around a custom-welded metal armature and every LEGO piece is glued one by one. We built two copies of the sculpture (480 hours!) which took over three months.